Lovely Gray Myst model featuring stone & vinyl elevation, neutral colors throughout, and on a corner lot. Kitchen offers upgraded stainless steel appliances, computer niche, eat-in breakfast nook, pull outs, Corian counters, and tile backsplash. An open concept with natural light throughout the main living area allows a spacious feel. Great room with a custom built cabinet offers easy organization. The sunroom overlooks the beautiful pergola covered paver patio where you can relax or entertain. Large master suite with ceiling fan & walk in closet connects to the master bath featuring a dual vanity, pull outs and a walk in shower. 2 car garage with epoxy floor finish, cabinets for storage, keypad entry, & garage door windows for natural light. This home is move-in ready! 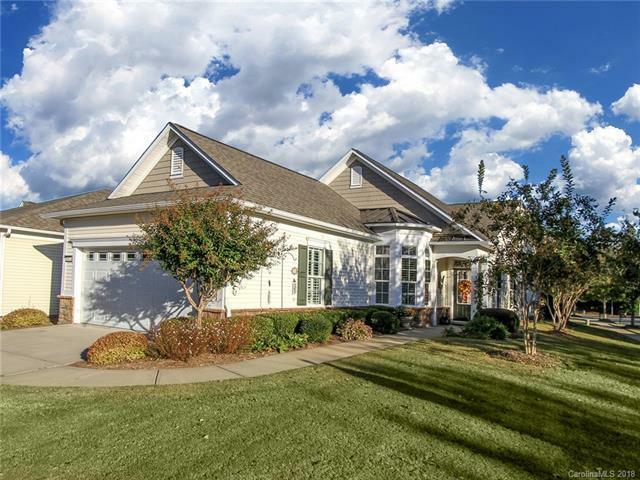 Come check out the community and the active adult lifestyle of Sun City Carolina Lakes.